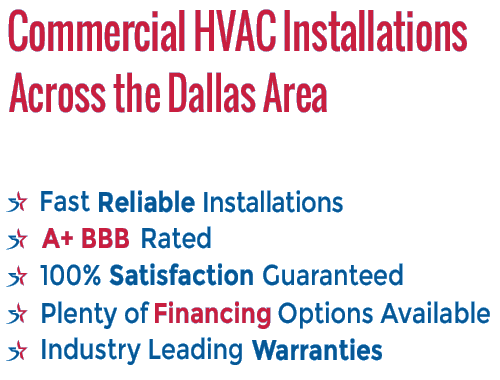 Commercial HVAC Installation & Replacement in Rowlett and More. Keeping your commercial AC system running well is no laughing matter for a business. You want and need both your customers and your employees comfortable regardless of the temperature outside. Sometimes that means an full commercial AC/Heating system replacement. When repairs just won’t cut it anymore, it’s time to bring out the big guns and their are none bigger than those at 5 Star HVAC Contractors. Our licensed and fully trained techs are specialists at installing new commercial HVAC systems as well as replacing old worn out inefficient systems quickly. We’ve been in this business for a while and have built a reputation for honesty, integrity, and true 5 Star service and that extends to our commercial customers. When you call us, you call experts in the commercial HVAC field. Downtime isn’t an option in business. Every minute closed you’re losing revenue. Every unhappy customer is an opportunity lost. Our techs work with you as your partner to make sure the installation goes smoothly and without issue and minimal if any downtime. Another bonus in choosing is the guarantee that we are certainly one of the quickest you can find in the country, when it comes to installing air conditioning units. We are commercial HVAC installers servicing various areas like Rowlett, Rockwall, Garland, Richardson, Sachse and Frisco. If you want authentic results, quick installation and reasonable fees, we are the ideal company for you. We have a team of experienced, licensed and trained technicians backed up with top-notch equipment used during the process of installation. 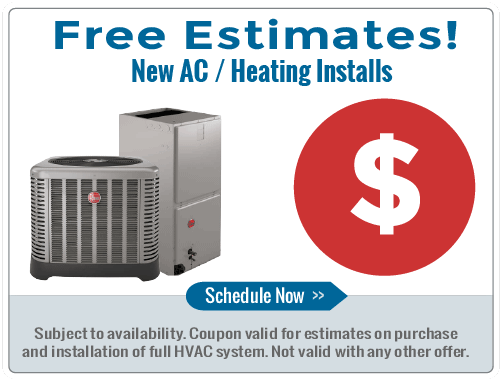 We even estimate the installation fee for free! So, if you are looking for someone to install your new HVAC with a guarantee of not requiring any repairs for a long period of time, contact us and be at ease. With our vast experience in the industry and our desire to help you get the results you want, you can be sure that we are the best choice you have. Because of our stellar service, you can have a quick and reliable commercial AC installation, incomparable to services anywhere in the region. If you want safety and comfort in your home, hiring an efficient team to install your HVAC is a great contributing factor. We urge you to call us immediately so we can schedule your HVAC installation as quick as we can, with a date that suits your preference. We offer free estimates for new installation, a year of ‘test-drive’ to guarantee great performance and 24/7/365 service.